After our excellent evening out at Helmsdale we awoke the next morning to a cold, clear day at the Hoshinoya ryokan. We cruised through breakfast and a lazy morning relaxing in our chalets or lounging in the large chill-out area in the main building, then hopped onto the bus to return to Tokyo. As we passed through the town of Karuizawa for the final time I found myself contemplating the future of the last spirits distilled there. Sadly, this trip represents the beginning of the endgame for the remaining stocks of Karuizawa. There has previously been some speculation on t’interweb as to the number of casks of Karuizawa still remaining. This was due to the discrepancy between the couple of hundred or so (post-Asama vatting) that Number One Drinks have spoken about and the ‘thousands’ of casks referred to by Ulf Buxrud in his book on Japanese Whisky published in 2008. Number One have kept the exact number of casks they bought a closely-guarded secret, but as I mentioned in one of my earlier posts, I have seen the remaining casks of Karuizawa in the warehouse at Chichibu with my own eyes and my guess of the number remaining in March 2012 was around 200-250. Obviously quite a few of those have been bottled since then. 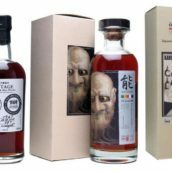 However, today Number One Drinks have put out a very interesting press release for the oldest Karuizawa ever, the forthcoming 1960 cask #5627. In the press release, the number of casks acquired by Number One in August 2011 was finally revealed as a total of 364. Taking off the 77 for Asama and allowing for casks bottled between August 2011 and March 2012, my upper estimate of 250 wasn’t too far out. 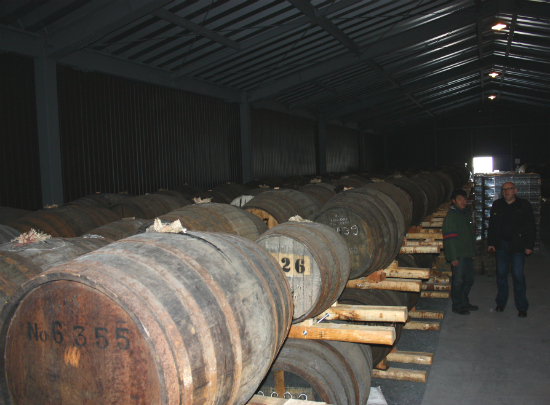 At the time of the acquisition of the casks in summer 2011, Number One were led to believe that they could keep the casks in Karuizawa’s warehouses. 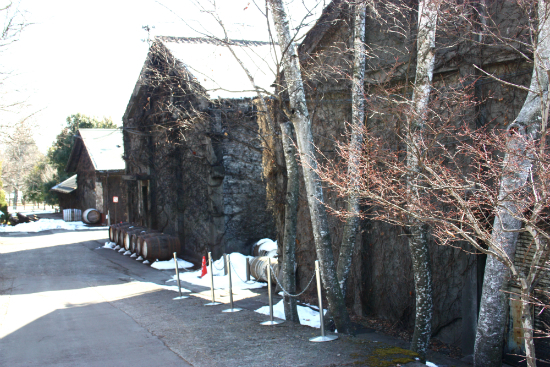 Shortly afterwards, however, they were informed by Kirin that the distillery site had been sold and that they would have to remove the casks from Karuizawa and arrange storage for them elsewhere. 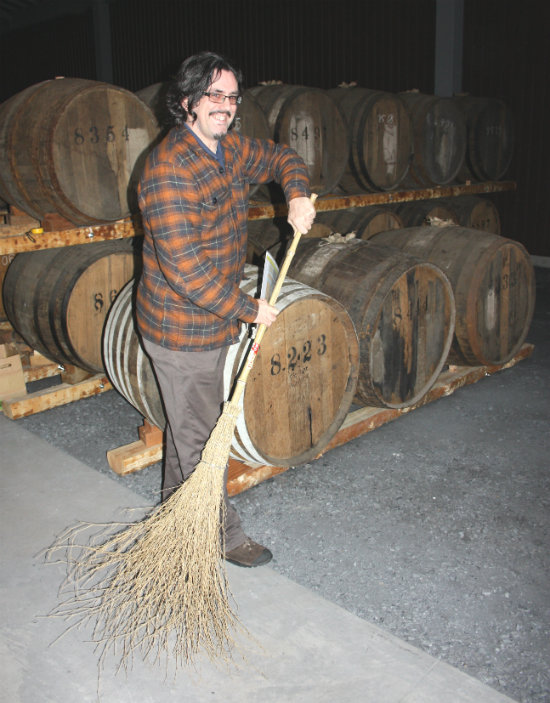 Fortunately for Number One, Ichiro Akuto, who bottles their whiskies for them, had just constructed a new warehouse down the road from his Chichibu distillery and kindly agreed to take in the homeless Karuizawa casks. Unless we believe that Kirin have more squirrelled away somewhere (which seems unlikely given their evident lack of concern for the distillery and its output, not to mention the legal assurances Number One would no doubt have received in their contract), then Number One Drinks have the whole stock. Unfortunately, if the thousands of casks referred to by Buxrud did exist at the time of the book we have to assume that they were either blended away, redistilled or simply poured down the gutter at some point in the last few years before the Number One sale occurred. That sounds absurd, but it’s not impossible. Big companies can work in breathtakingly stupid ways sometimes. Moreover, as we know, after refusing to sell the distillery itself to Number One Drinks (who wanted to revive it), and telling them that the property was not for sale, Mercian / Kirin sold Karuizawa’s stock to Number One and then sold the entire site to somebody else almost immediately. Who that may be and what their plans are for the property remain unknown for now, but as the Karuizawa area is a holiday resort the land currently occupied by the distillery, the museum and the surrounding acres of garden is very valuable to potential developers. In the absence of any further facts it seems regrettably safe to say that Karuizawa will probably soon be added to the list of Japanese distilleries that no longer exist. It seems that, for whatever reason, Kirin have determined that distillation is no longer to take place at Karuizawa. So, to the remaining stock. As I’ve mentioned earlier, of the casks bought by Number One, only a relatively small number were distilled before 1980. The rest are from the 1980s and 1990s. As we know, 77 ex-sherry casks from the 1999 and 2000 vintages were vatted together to create an entry-level 11 year old called Asama. Two of the individual marrying casks from this vatting were bottled individually and sold at full strength at the Tokyo International Bar Show in 2012. 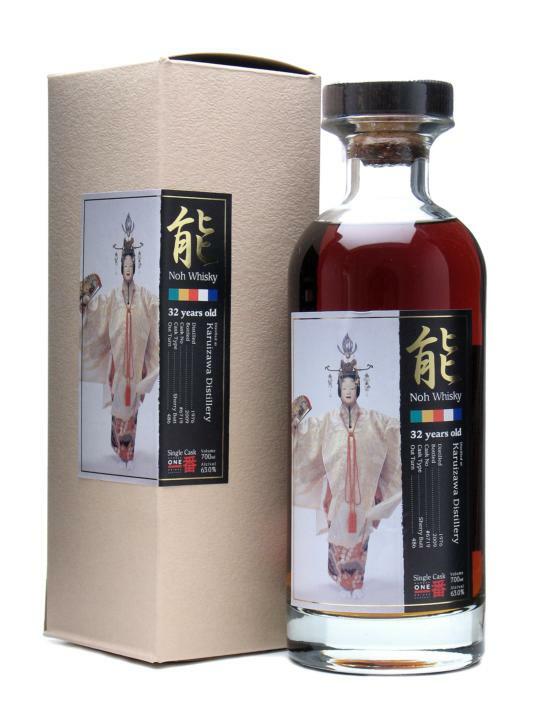 I know of three bottlings so far from the remaining assemblage, which are the Number One Drinks version at 46%; and the two TWE Spirit of Asama bottlings at 48% and 55%. Unfortunately I can’t find any information on the batch size of the generic Karuizawa 12 year old bottled by Mercian in the 1990s when the distillery was still active, but the Asama stock certainly represents the first large batch young Karuizawa bottled for overseas markets. However, it’s worth noting that not all of the liquid from the Asama vatting has been bottled yet. 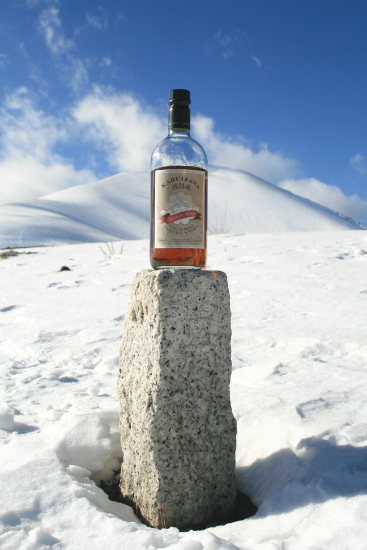 If we assume that all the casks used for Asama were sherry butts (some may have been hogsheads), the original 75 casks left over after the TIBS bottlings would most likely have yielded at least 21,000 litres (assuming eleven years of 5% loss per year from 500 litre casks), which in turn would provide over 30,000 70cl bottles even at cask strength and many more when reduced to 46%. The two TWE Asamas total about 6000 bottles; I don’t know how much of the batch was bottled at 46%, but evidently there’s still a fair amount left. After the three distribution partners placed their original Asama orders, the remaining liquid was returned to sherry casks for further marrying / maturation. I recently heard the good news that a new batch has been drawn from this liquid by Number One Drinks and will be bottled at 50.5%. Not only that, but there is also a second vatting of Asama in the works, though this is necessarily a smaller batch than the original Asama vatting. So we can expect Asama to still be with us in one form or another for a good while yet. However, aside from the Asama liquid, it seems likely that most of the remaining stock will be bottled as single casks or very small batches of a handful of casks. The number of those casks is small and getting smaller. Most single casks yield a maximum of around 650 bottles. However, as we know, there are far more than 650 people who want to buy every new release of Karuizawa and many of them want to buy it by the case. That’s why when TWE release a new cask of Karuizawa we generally make it one or two per customer because we want as many people as possible to be able to try these whiskies. Some people find that very hard to grasp. Without fail, every time a new TWE cask of Karuizawa is released we get dozens of emails and phone calls wanting more – be it 3 bottles, 6 bottles, twenty cases or our entire stock. Most people are cool when we explain the reasons for our policy. Occasionally we receive disproportionate abuse when a disappointed customer gets nasty. 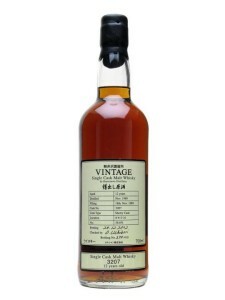 Part of the reason for this feeding frenzy every time a new cask of old Karuizawa is released is because of the near certainty of medium to long term price gains at whisky auctions once the Karuizawa stock is finally finished. But how many people are really buying for this reason? As with other desirable whiskies, the customer profile is split between drinkers, collectors and investors. The latter are split again between those taking the long view and counting on whisky still being in vogue in the medium to long term, and people trying to turn a quick buck. I would argue that in the case of Karuizawa the actual number of people doing this is relatively small. Of course, we all know what goes on with whisky speculators. All we can do is to try and make it as difficult as possible for them, which is another reason we generally restrict our Karuizawas to one or two per customer. Thankfully the demise of alcohol reselling on ebay in the UK has snuffed out a lot of the most cynical instant-turnaround speculators in this country for things like the Port Ellen special releases, and in my experience very few Karuizawas turn up on ebay – I’ve had a saved search for it for years and pretty much the only things that come up are old postcards and the occasional photograph of Mount Asama. There’s no doubt that some people are paying extraordinary sums for old Karuizawas at whisky auctions. Given a dwindling, finite supply and demand that continues to grow, it’s basic economics that prices head north. But amid all the talk of cynicism and profitmongering, I can’t help wondering if Karuizawa speculation is more discussed than practised, because as far as I can see a large part of the reason for the high prices paid for Karuizawas at auction is down to the fact that relatively few of them actually come up for auction in the first place. 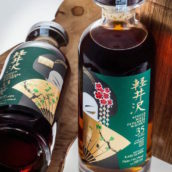 At the time of writing, the largest UK whisky auction site has sold just 9 bottles of Karuizawa amongst more than 12,500 whiskies listed in the 24 sales since their inception in 2011. The largest whisky auction site in Europe has had less than 600 bottles of Karuizawa out of over 100,000 listings in the six years between 2007-2012, with a further 81 so far in 2013. Those 2013 numbers are slightly above average (although they actually dipped in 2012 with 169 bottles compared to 2011’s 184) but they’re hardly overloading the market. Meanwhile, McTear’s auction house in Glasgow has just three bottles of Karuizawa in its auction history; Bonhams’ has only sold one bottle, and that was in Hong Kong. Neither Christie’s or Sotheby’s have ever sold any Karuizawa. When one considers that there must have been at least twenty or thirty thousand bottles of Karuizawa released over that time period, a few hundred bottles going to auction is a very low percentage. 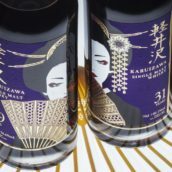 In my opinion, these numbers suggest that very few people are actually investing in Karuizawa, and that most people who buy a bottle intend to drink it or keep it in their collections to be drunk at a later date. People’s circumstances change, of course, and no doubt a proportion of the bottles that are being kept for future drinking will end up coming to market at some point down the line. 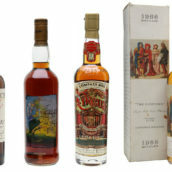 It’s likely that those bottles will sell for more than they originally retailed for, and of course if the prices go past a certain threshold some collectors will be tempted to cash in on a bottle that they’d originally been meaning to drink. Personally, I believe that most of the unopened Karuizawas sitting in collections out there are owned by passionate whisky fans who are keeping them for a special occasion and that they will be opened and drunk with friends for enjoyment. Which is exactly as it should be. For all these reasons, the prices of Karuizawa have gone up and most likely will continue to do so. Unfortunately a lot of people (myself included) can no longer afford Karuizawas from the 1970s, and I very much doubt that I will be able to afford all of the outstanding early 1980s casks that I tasted last year by the time they come to market. However, I don’t hate Karuizawa for this, just as I don’t resent Springbank for the fact that I can no longer afford the 21yo and never could afford the 1966, even though I used to sell it at Oddbins in the days when it cost £95 and was the most expensive bottle in the shop. It’s not their fault that they made some whisky so good that I can’t afford it. I find it difficult to comprehend the anguish and resentment that some people feel when they encounter whiskies that they can’t afford. It smacks of the worst kind of entitlement. I don’t think I deserve a Ferrari Enzo just because I’m a really great driver. Even if it was true, it’s just not the way the world works. TWE have always thought that the casks Marcin and David were selecting were simply great whiskies and we said so from day one, but in the beginning no-one was listening. 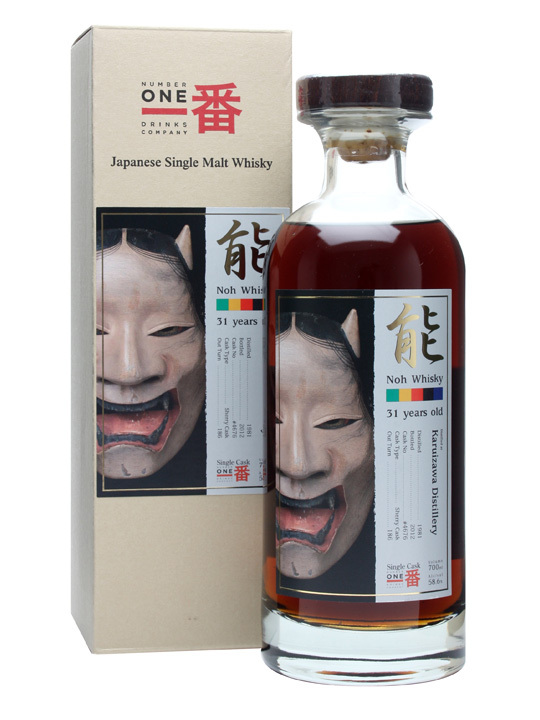 As I mentioned in my previous post, the first 1981 Karuizawa we stocked from Number One Drinks was an allocation of a few dozen bottles priced at £74.99. They lasted 6 months – four months of which were after it had won a Gold Medal at the Malt Maniacs Awards. Unfortunately, these facts don’t fit with what some people like to think. The self-evident reality is that when these whiskies first appeared they were simply far too cheap for the quality in the bottle, and the rising prices are a straightforward case of market forces at work. But I digress. It’s certainly likely that the vast majority of the remaining Karuizawa casks will be bottled in the next few years, as Marcin has said elsewhere. I’m afraid I don’t know exact numbers of casks for each decade, but I’d be very shocked if there were more than 80-100 or so pre-1990 casks left, and it’s probably less. In any event, of the 1980s cask samples I’ve had, I would say that most of them need to be bottled in the next few years anyway. During the trip I tasted over two dozen casks from the 1980s and most of them were at or approaching their peak. It would be a shame if they were left to go over the hill like some of the Port Ellen independent bottlings that have appeared in the last few years, but I don’t think that’s likely. The good thing is that the final stocks of Karuizawa will be going out in a pretty phenomenal blaze of glory. I think that’s the least that this iconic lost distillery deserves. Back in Tokyo, the whisky bars of Ginza were calling. We booked back into our hotel, dropped off our kit, had a rest and a quick dinner and then embarked on the first of two epic bar crawls which occurred over the space of the final 36 hours we spent in Japan. In my next post I will attempt to reconstruct these based on my own hazy memories, some scribbled notes on hotel paper and napkins, a handful of business cards and the photographic evidence from Sukhinder’s camera and my phone. Prepare to get jealous. Is it still possible to visit the Karuizawa distillery? As far as we know, unfortunately not. Ok am heading there in two weeks… Will let you know if it is still standing. Your lovely picture of Hoshinoya ryokan inspired me to make the trip! We’re still jealous of our old colleague Tim – tales of his trip to Karuizawa still float around the office. 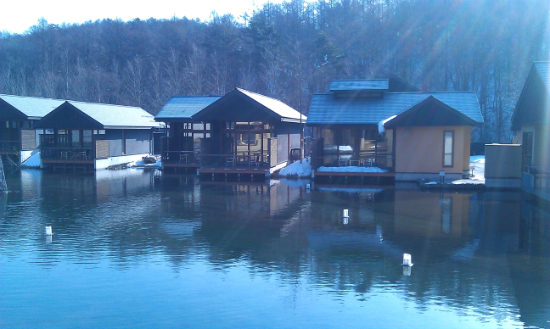 Visited the grounds yesterday… The old buildings are still standing though you can’t go inside. Spoke to a local who was manning the concierge at our hotel who said she would occasionally walk through the grounds. 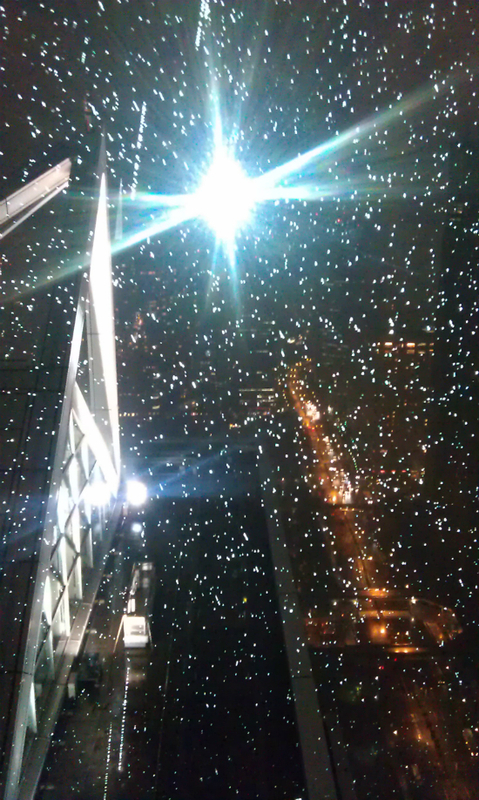 Took some nice pictures! Was great seeing the place!